With yesterday being the first day of the fall session at MBSC, the interns were asked to watch a DVD Series about something called the joint-by-joint approach and write a one page summary about it. I had read about this idea before but enjoyed the DVD because it went into much more detail. I figured since I had to do a writeup anyway, I might as well post it here so others can learn from it as well. I have to admit that while the ideas seem so simple, it completely goes against many of things I thought before learning about it. Hopefully, you guys that have not learned about this idea can take something from this. It is admittedly a very brief review (I did, after all, have to limit it one page) and far from comprehensive, so I recommend you look into it further. Still, this should give you a good idea of the basics tenets of the idea. Many people seem to think that flexibility is the biggest key to a healthy, well-functioning body. Not surprisingly, you will often see these people talk about how they want to improve their flexibility. This would all be well and good if in fact flexibility was the real issue. The joint-by-joint approach, as developed by Mike Boyle and Gray Cook, seeks to dispel this myth and clear up any misconceptions that may exist and show us the real solutions. Rather than simply focusing on flexibility, our real goal should be developing mobility and stability. To be clear, mobility is not the same as stability. Mobility is actually a combination of proper muscular flexibility combined with normal joint range of motion. This is a significant distinction. Stability, on the other hand, is the ability for a joint to remain aligned in the presence of change, or outside forces. How can we focus on both mobility and stability then? It seems like they are inherently contradictory qualities. In many respects, they are. But here is the catch. The joint by joint is not saying that every joint should be both mobile and stable. Instead, the body works in an alternating pattern of mobility and stability, and if this pattern is altered, dysfunction will ensue. So what does all this mean? Basically, we want some joints to be mobile and some joints to be stable. Here is how it is broken down specifically. We can use the joint by joint approach as a means to describe how injuries often occur. Typically, if someone is complaining of low back pain, the common reaction is to look at their back. 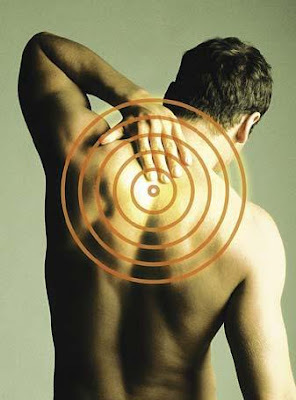 Using the joint-by-joint, however, we learn that injuries rarely occur at the site of pain. Rather, low back is often a result of limited mobility and the hips and/or thoracic spine. Similarly, knee pain is often the result of limited ankle mobility. This is a very interesting concept because it completely changes both the way we diagnose injuries and also, and perhaps more importantly, how we treat them. What makes this idea so appealing is that it provides us with an excellent framework for fixing problems. After describing the joint-by-joint, we learn simple yet effective corrective exercises to address lack of mobility in the joints that are supposed to be mobile and stability for the joints that are supposed to be stable. Just as important as learning what to do, we learn what not to do as well. For instance, how many people do you see with low back pain doing exercises to promote mobility. According to the joint by joint, this is a big no-no since the lumbar spine needs stability. For this reason, the joint by joint completely changes the way we view the body and how we deal with movement and injures. I hope this helps some of you that did not know about this idea before. By the way, you guys can subscribe to my blog by clicking “Follow” on the righthand side.